This theme park that reproduces the Spanish townscape is perfect for photographs on SNS and definitely makes you take pictures unconditionally. The park features a variety of attractions for screaming, for healing. 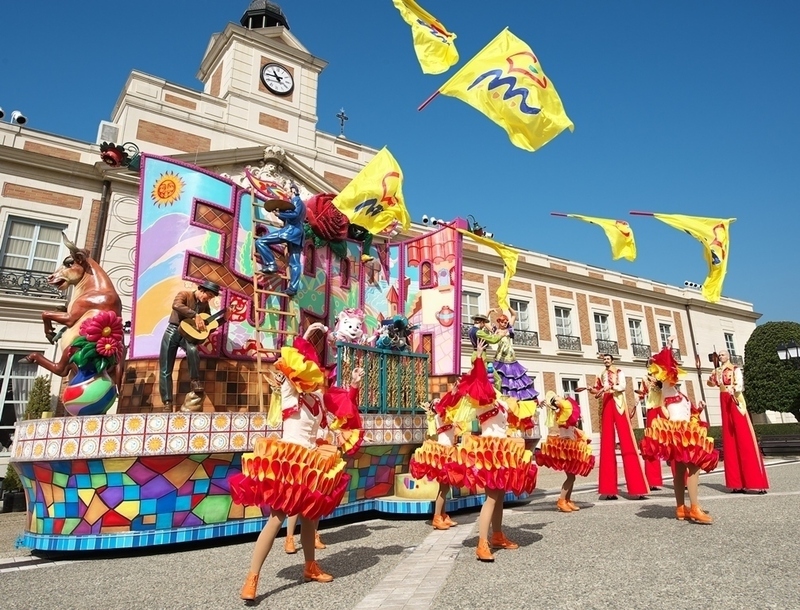 Everyone can participate in the cheerful parades and entertainment. The park has been loved by families with children and groups as well as a wide range of generations. One of the most popular attraction is called "Pyrenees", a roller coaster with the motif of the Pyrenees running along the border between Spain and France. People cannot ride on it without screaming for a total length of 1,234 m while traveling at speeds of up to 100 km per hour on the winding rail as if on the winding strata in the Pyrenees. You may experience to be in the real Spain while being in Japan when you see the legitimate flamenco show that attracts the audience with brilliant tap. Himawari no Yu, outdoor bath where you can overlook the ocean in a resort hotel “Hotel Shima Spain Village” is just adjacent to the theme park.